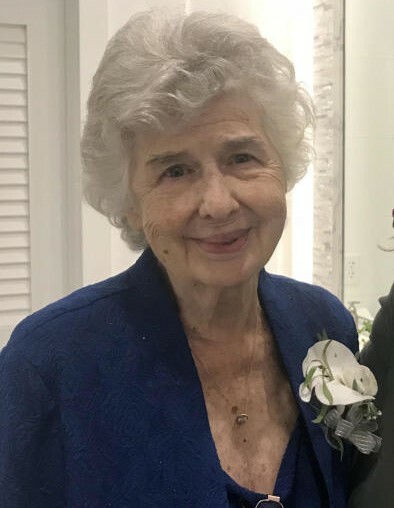 Jane (Noble) Turner, 80, of North Quincy formerly of Dorchester, passed away September 5, 2018 after a brief illness. Loving daughter of the late George and Jane (May) Noble. She was preceded in death by her brother George Noble and her former husband Nelson Turner. Special niece to the late Gilbert and Mary (May) Carpenter. Devoted companion to Paul Riordan. Sister of Mary Noble and her partner, Richard Cooper of Arlington. Loving mother to Carolyn (Turner) Lee and her husband Robert, and Steven Turner and his wife Elizabeth, all of Stoughton. Cherished grandmother to Michael Borst and his financé Lauren Smith, David Borst and his wife Holly, Kevin Borst and his wife Elizabeth, Katie Turner and her financé Nolan Fraine, Steven Borst and his wife Darlene, Samantha Turner, Lauren Turner, and John Lee and his husband Samuel de Andrade-Lee. Great grandmother to Aiden Colligan, Ayla, Jace and Emmett Borst. Sister-in-law to Linda Noble. Also survived by many relatives and friends. She was Past Worthy Advisor of Boston Assembly #1 and Past Mother Advisor of Wollaston Assembly #10 International Order of Rainbow for Girls. She worked for Hancock Bank and State Street Bank. She was a member of Union Congregational Church in Wollaston. Relatives and friends are invited to visiting hours Tuesday, September 11th from 10am-12noon at Hamel-Lydon Chapel & Cremation Service, 650 Hancock St, Wollaston, during which time a wake service will be offered at 11:45am. Private burial will follow. In lieu of flowers, the family has requested donations be made in her memory to: Stoughton Council on Aging, PO Box 582, Stoughton MA 02072.